New tri. Part 5 Trailer and Blu-ray/DVD Cover & Pre-Orders! Thread: New tri. 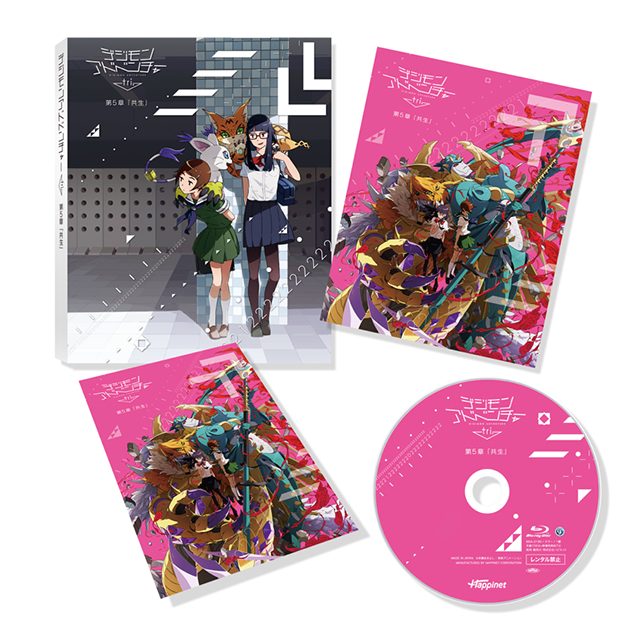 Part 5 Trailer and Blu-ray/DVD Cover & Pre-Orders! 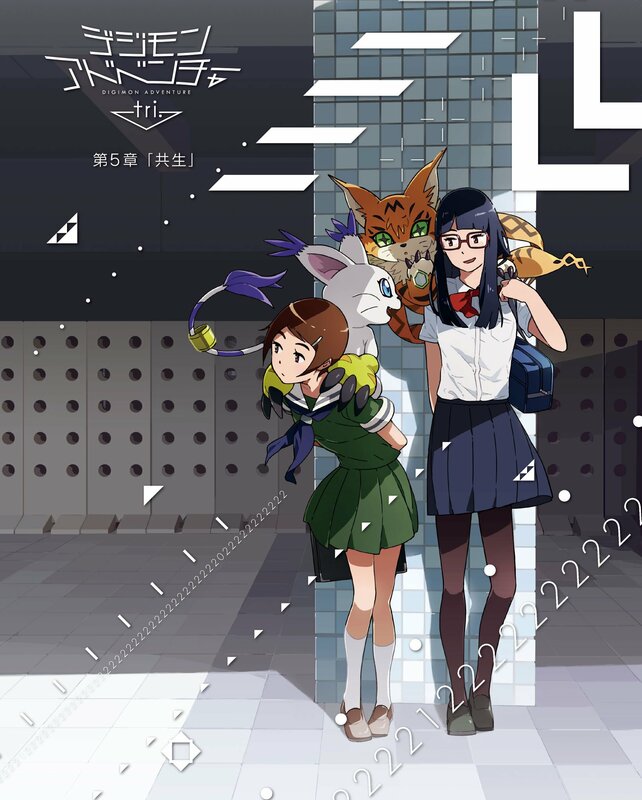 New Trailer for tri. part 5! If the embed doesn't work... click here. Thanks to garm we already have a translation of the trailer. She isn't 100% sure on if she heard every word properly, but it should be at worst, very close. At the very least, we don't hate Hikari, nor the rest of you. For what reason exactly were we chosen? Meicoomon is her partner, you know! What's... what exactly is wrong with caring for my friends!? Your friend is in pain! I won't forgive... that selfish logic of yours! We also have the cover for the home video release, which looks fantastic! It's a gorgeous piece of art of Hikari, Tailmon, Meiko, and Meicoomon by Uki Atsuya. It's fantastic to have it so large and clean already! The standard Blu-ray and DVD are roughly what we expect. A transparent sleeve with an Uki Atsuya drawn cover in digipak style packaging for it's initial production run. As physical bonuses they will include 8 pages of line notes and a 16 page booklet. On disc bonus features have not been announced yet. It will swap to normal Blu-ray and DVD style cases with an insert and no longer include the booklet once these sell out. The DVD will be 7,000 yen and the Blu-ray will be 8,000 yen and be available November 2nd. Like Parts 1 thru 4, there will also be Amazon exclusive versions which include a B2 size (roughly 20 by 29 inches) cloth poster. And tri. part 5 is currently available to pre-order right now if you want to hop in early! CDJapan links are affiliate, Amazon Japan are not. The prior tri. Part 5 thread is here. This PV is pretty interesting. I wonder what happens with Hikari. I always think this will be is a possession by Homeostasis, but it seems somewhat pretty "dark". PS: I suppose this scene occurs before she faints and is caught by Takeru. Last edited by Kon; 07-30-2017 at 08:43 PM. The heck is that giant thing coming out of the clouds? What is that giant thing!? Examon or something!? I will ask the same thing as everybody: What's is that thing coming out from the clouds (those are clouds, right?)? And Hikari is being possessed by Homeostasis? It is a really creepy looking scene. Part 5 is going to kill any remaining feels in us at this rate...Taichi what have you done. The perfects are getting some proper screen time in a fight, really happy about this considering that's my favourite level (Lillimon hype), also nice that we might get to see the evolution sequences for wargreymon and weregarurumon too. When I saw those goggles at the end I instantly thought Daisuke, then when Hikari said Taichi I realized my hopes were too high for the 02 kids again. About that thing in the clouds, my theory is that it's Meicoomons mega form, since in the two wings it has these glowing orbs, which makes me think that this version of Meicoomons mega may go through some form of growth to become even more vicious and larger throughout the movie, the poster form does look rather different than what we've seen in the trailers so far. It was confirmed a few days ago that we would get a sequence for MetalGreymon evolving to WarGreymon. Part of the WarGreymon sequence is in the trailer.